Thinking about taking the plunge? Chris Garden and Catherine Blackburn, authors of 'Employee to Entrepreneur', explain why 2013 could be just the year to start your venture. The New Year usually causes us to reflect and think about the key things in life that we would like to change. Whether it’s because of redundancy, a general disenchantment with corporate life or a long-held ambition to one day start your own business, for some this is the time that many decide it's time to take the plunge and start a business. Stepping out of a corporate career and going it alone is a life changing opportunity, but the idea can also be quite daunting and it’s very easy to find reasons to put off the decision. Not least because of the depressed state of the economy - not just in the UK but across the world. 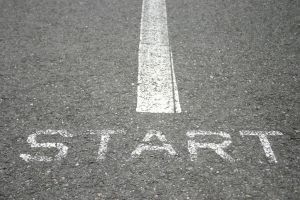 So is it a very bad idea to start your business in 2013? Actually we think it’s a very good time to start a new venture - let’s consider the positive factors. 1. Business failures through the recession may have created gaps in the market for newer, leaner players to fill. 2. Prices are keener all round whether its office space and materials or deals on telecoms. 3. Interest rates are low making borrowing and financing your business cheaper. 4. There are more people available on the job market and they are cheaper than usual. 5. Buyers are under pressure to review and source the best supplier, so opportunities exist for more efficient operators like you! 6. The Government is offering a wide range of help and incentives to encourage businesses to start up and grow. 7. There are signs that the banks are finally beginning to lend more sympathetically. 8. Succeeding through tougher economic times suggests your business will then boom when the economy recovers. Undoubtedly the downsizing and failure of some corporate giants during the economic downturn has released a lot of talent seeking a new business life back into the ecosystem. More people than ever are considering doing their own thing. A look back at history supports the view that times of recession are actually a fertile ground for the development of successful new ventures. For instance Microsoft, The Walt Disney Corporation and Hewlett Packard were all founded during such times. There is also at present a real desire amongst the media and wider business world to have success stories – this willingness to help with PR and to do business with enterprising people can lend real support to a 2013 entrepreneur. Of course, every individual will have different personal circumstances that may influence when it is best for them to ditch the day job and start their own business, but it is highly improbable that everything will be in perfect position. If you wait for that to happen it probably never will. There are many reasons to think 2013 offers bags of opportunity for making the switch from employee to entrepreneur - so why not make it the year you make the move? Chris Garden and Catherine Blackbur are the authors of 'Employee to Entrepreneur: How to Ditch the Day Job and Start Your Own Company'.